Adults have two wings, a slender body and size long legs. Pupae have thin elongated, well-segmented abdomens with a short robust thorax. Most species require only a few weeks to mature. Midges have a complete life cycle consisting of an egg, larva, pupa, and adult. The pupa is far more important than the adult or larva. The colors vary widely. The most common colors are olive, brown, tan, gray, and red. Midges emerge year-round. The pupae emerge in the morning and evening hours. During cool weather they often emerge throughout the day. All water types. Many species prefer slow water rich in aquatic growth. 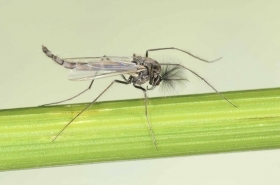 Best midge fishing on the rivers is during the late fall, winter and early spring. Midge fishing is especially effective on Hebgen Lake and other lakes in the region from ice-out until early July.